If you are in a financial jam, our Scottsdale pawn shop might be able to help. The most common reason people visit pawn shops is the need for fast money. This could be because of an unexpected event or maybe you just need some extra cash for the weekend shindig. This is where we come in. We are able to offer short term cash loans or “pawn” loans in exchange for collateral. Simply put, you would use your item of value in exchange for cash with the option to buy back your item within a 90-day period. If you are unable to buy back your item in 90 days, but still wish to retain ownership of the item, you can pay the finance charge only and extend the loan an additional 90 days. If you do not make any payment, you then forfeit your item and we could then sell it. Your collateral will remain safe with us for the entire loan term. Nobody uses, plays with, wears, or otherwise tampers with your possessions while it’s in storage. There is no limit as to how many loans you can have at one time and no cash limits on the amount of the loan. You also have the to option to sell your items outright. When selling, it allows us to pay a little bit more (typically 10% more) than we would if you took out a loan because we don’t have to hold it for 90-days. The forms of collateral you can use to take out a pawn loan varies, but we mostly deal in jewelry, high end watches, gold, diamonds, designer handbags and accessories, Apple products, smartphones, and cars for title loans (more on that below). So why choose us? 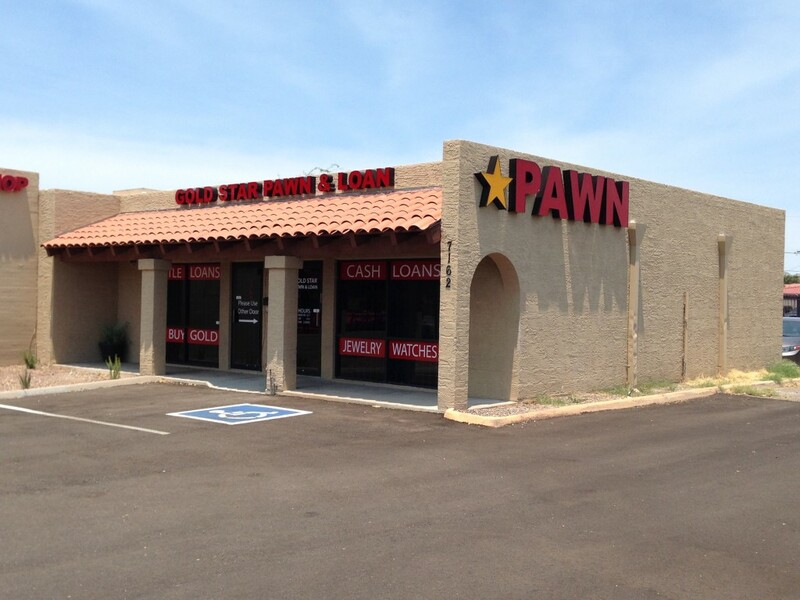 After all, there is a lot of options when deciding which pawn shop in Scottsdale to give your business to. Competitive pay outs – We want your business and we try to buy and loan for the highest amount possible. Give us a shot. Lower Interest – Many people overlook this. Most pawn shops loan money at the maximum interest rate they can legally charge (37% for 90 days). Not us. Our interest rate ranges anywhere from 15-30% for 90 days (depending on the amount and length of the loan). REAL customer service – We tell you like it is. We’re honest. We’re competent in our trade. You will be dealing with the owners who truly care about your business. One of our specialities at our Scottsdale pawn shop is designer handbags and accessories. Unlike other pawn stores, we know the true value of your cherishes purses such as Louis Vuitton, CHANEL, Gucci, Prada, Balenciaga, Celine, Christian Louboutin and more. In our experience, the number one reason customers sell purses for cash is because they simply no longer use them. That unused Louis Vuitton Neverfull or Prada Saffiano sitting in your closet could be sold us to for cash in minutes. For the most part, will pay cash for ANY Louis Vuitton or CHANEL product. In addition to handbags, you can also sell designer shoes, wallets, clutches, luggage, and other designer goods. If you want to keep your purse but need some fast cash, you can always use your designer handbag as collateral for a short-term loan. There is no limit as to how many accessories we will buy or loan on – We are interested in everything from one pair of shoes to entire closets. We proudly serve the residents of Scottsdale, Phoenix, Mesa, Tempe, Paradise Valley, and Chandler. Stop by our pawn shop on the NW corner of Scottsdale Rd. and Thomas.